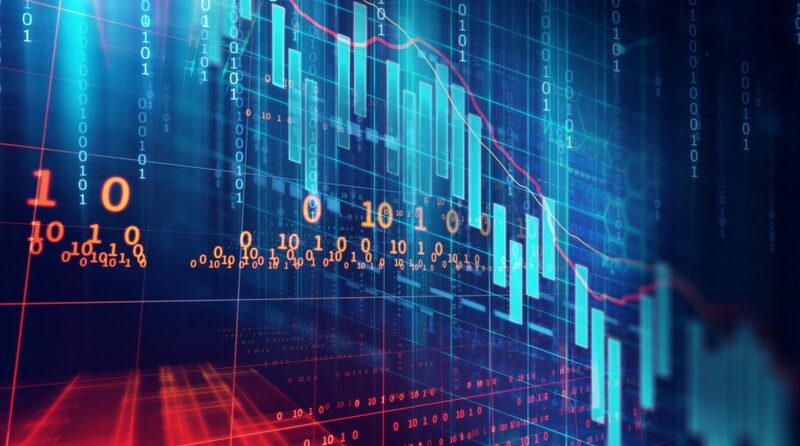 October 2018 has been one to forget for U.S. equities, but in a survey by the American Association of Individual Investors, it wasn’t much better for bonds as exposure to fixed-income dropped to a 10-year low, reflecting the lockstep move both asset classes made during that month of extreme volatility. The Nasdaq Composite fell by 9.2% in October, making it its second largest decline since it fell 10.8% back in November 2008. Things weren’t much better for the S&P 500, which followed the Nasdaq into correction territory and fell by 7% in October–its worst month since September 2011. The Dow Jones Industrial Average fell 1,300 points or 5%, which hasn’t happened since January 2016. Investors have been spooked by copious amounts of volatility after a decade-long bull run that has seen the growth fueled by FANG (Facebook, Amazon Netflix, Google) stocks dwindle as the technology sector fell into correction territory. 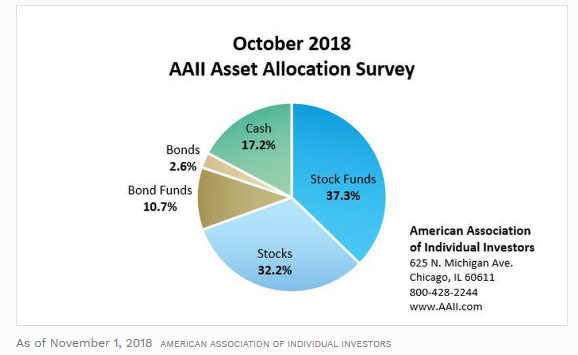 According to the AAII, bond allocations have a historical average of 16% and with a combined 13.3% allocation for bonds and bond funds in October, it marked the 11th consecutive time allocations in these asset classes were under the average.